Halit Ergenc height, weight, net worth, dating, career. 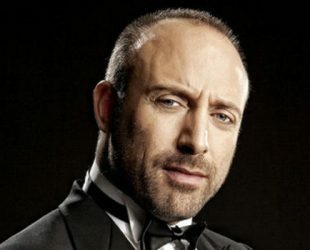 Halit Ergenç was born on April 30, 1970 in Istanbul, Turkey. He was born as the son of Yeşilçam-era actor Sait Ergenç. Known for “Babam ve Oglum” (2005), “Aci Ask” (2009) and “Aliye” (2004). He married with Bergüzar Korel since August 7, 2009. They have one child. In 2017, Ergenç visited Pakistan and attended the Lux Style Awards–where he was honoured with the International Icon award–due to his popularity in the country. In his accepting speech, Ergenç said that he had grown up knowing Pakistan as a “brother country.” whatsmore, he quoted that he grew up listeing “Dil Dil Pakistan“.